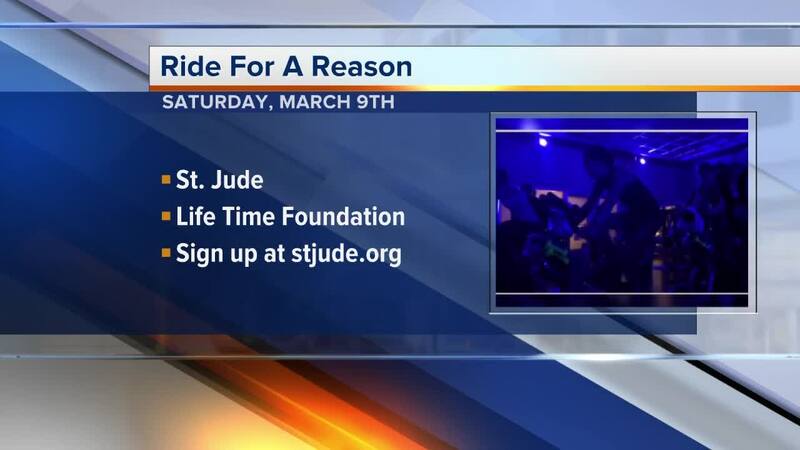 SOUTHFIELD, MICH (WXYZ) — St. Jude's Ride for a Reason is one amazing workout! You're invited to Join the 4-hour indoor cycling relay at 117 Life Time locations across the country, or be part of our virtual ride, on March 9th. Life Time members and non-members can sign up, raise funds as a St. Jude Hero and ride for healthier kids in support of St. Jude Children's Research Hospital and the Life Time Foundation.